Hello! 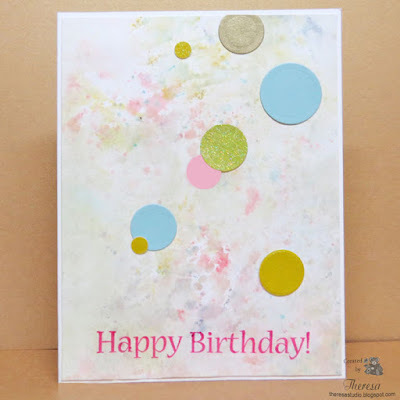 I was inspired by the Release Party Challenge at Stamp TV and the cards that I saw on Gina K Designs Blog hops to create these cards. Gina K's challenge is Traditional Christmas -use the traditional red and green in a Christmas card. I made 2 ( just as easy to do 2 as one) wreath style cards using stamps and dies from GKD Merry and Bright Stamp and Die set. I do not have the wreath templates or any of the wreath builder stamp sets from GKD but I improvised using the stamps that I had and my own technique of making a wreath. 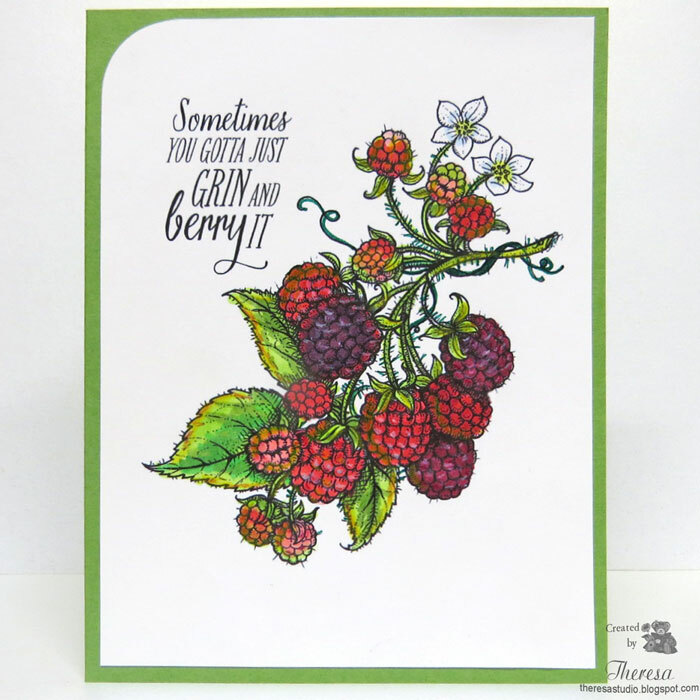 Top Card: Supplies GKD Red Velvet and Grass Green CS, Memento Bamboo Leaves and Lady Bug Inks and Markers, Holly Leaf Stamp and Die and Sentiment from Merry and Bright. 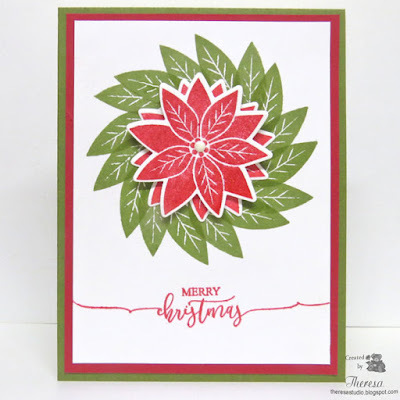 Second Card Supplies: GKD Fresh Asparagus and Red Velvet CS, GKD Fresh Asparagus Ink, Memento Lady Bug and Love Letter inks, Leaf and Poinsettia stamps and Poinsettia Die from Merry and Bright, Sentiment from Scripty Holiday stamp set, White Enamel Dot. Alphabet Challenge: L is for Leaves. My leaves are Holly Leaves. Hello! 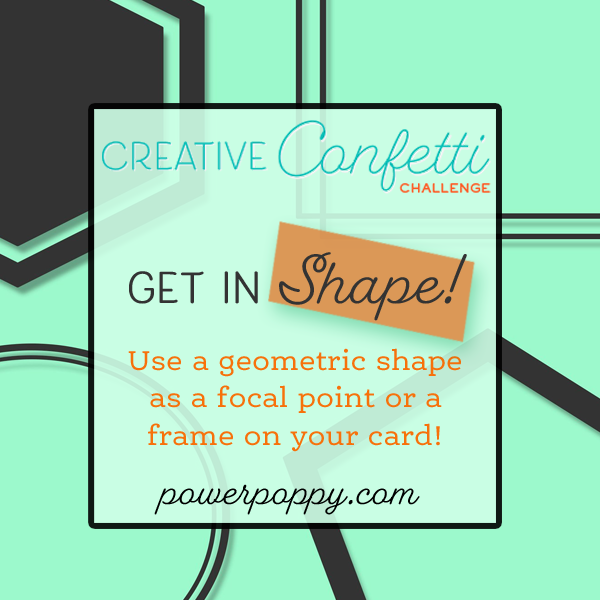 Today I have made a card with a geometric shape (square) as the focal point and a frame on my card. 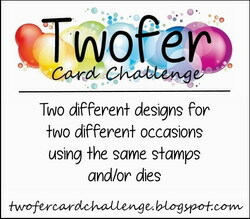 I am showing 2 versions of the same card with 2 different sentiments. I printed the Camellia digital image from Power Poppy on white CS and colored with copics. I simply attached to a Grass Green card base and added the die cut squares printed with Sentiments also from Power Poppy. I think I prefer the top card with the more narrow frame. 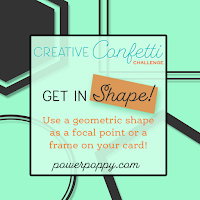 This card will be entered in the Creative Confetti Challenge at Power Poppy-Get in Shape. Hello! 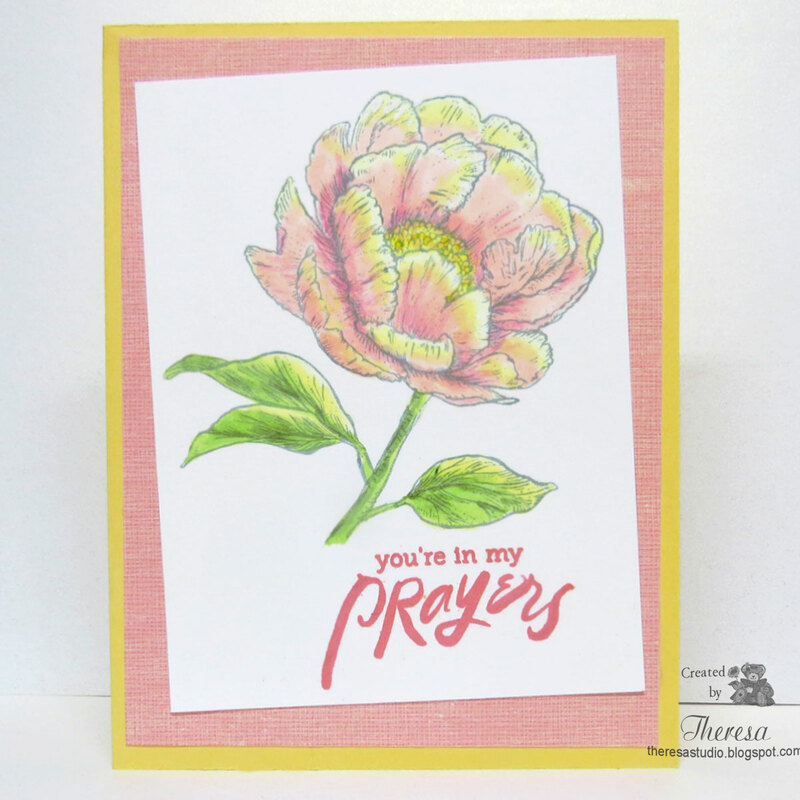 Playing with a color challenge that inspired this card. I printed Power Poppy Countryside Bouquet and colored with Copics. 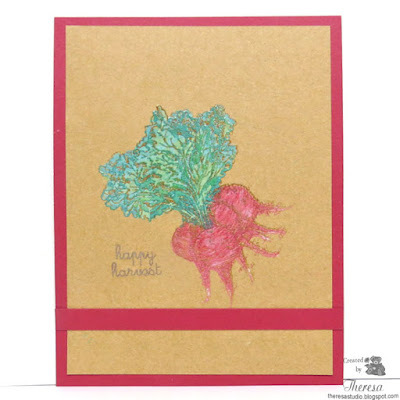 (I also have the Power Poppy clear stamp set but used the digital image and enlarged the image to fill the card). The power Poppy sentiment from Lavender set was stamped with SU Garden Green ink. Finished with a Bright Green card base. This image was perfect to use the vibrant colors Purple, Green, Yellow, and Red in this week's Color Throwdown. Welcome! 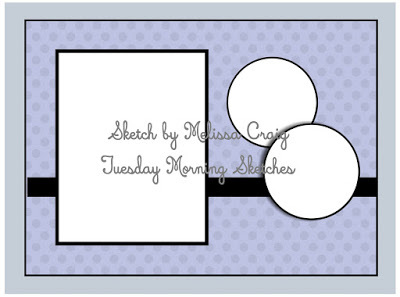 I am playing with another sketch from Tuesday Morning Sketches shown below. 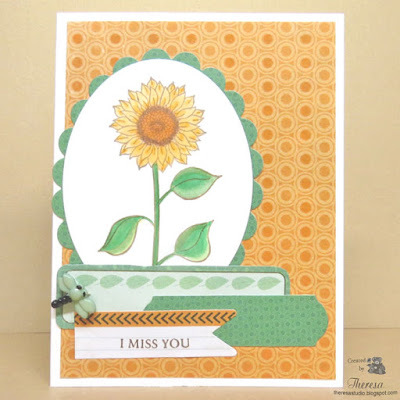 I used a Repeat Impressions Sunflower stamp (yes, I have another sunflower stamp) stamped with Memento Toffee Crunch ink on White CS and colored with Copics. 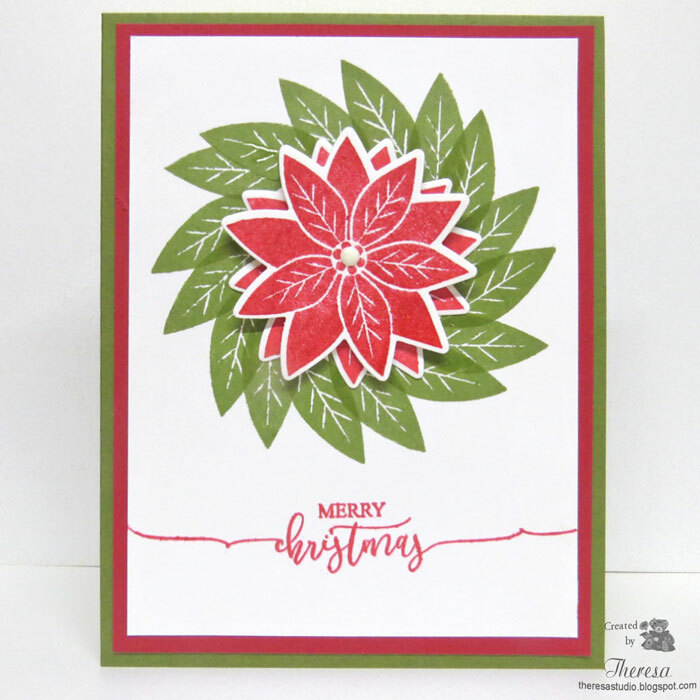 Trimmed this with an oval die and placed on a green patterned mat cut with a scalloped oval die. Used some die cuts of patterned paper and a polka dot background all from Kaiser Craft Jungle Bug pad to complete the card. 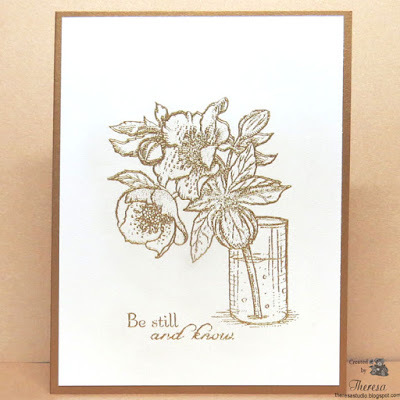 Stamped sentiment from Flourishes set in brown ink and added a dragonfly button from my stash. I have had the sunflower stamp since 2015. Shopping Our Stash: #369 Quit Bugging me. Use a bug or insect on your project. 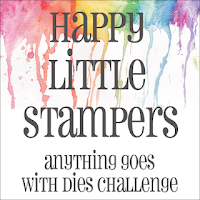 The House That Stamps Built: Challenge A2218 Anything Goes. Used Repeat Impressions stamp. 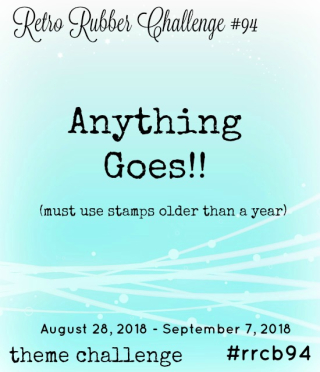 Retro Rubber Challenge: Challenge #94 Anything Goes. Sunflower stamp is 3years old or older. Hello! I have been playing with a lot of sketch challenges lately and have another one today. I decided to make another Christmas card....never too early to get a head start. 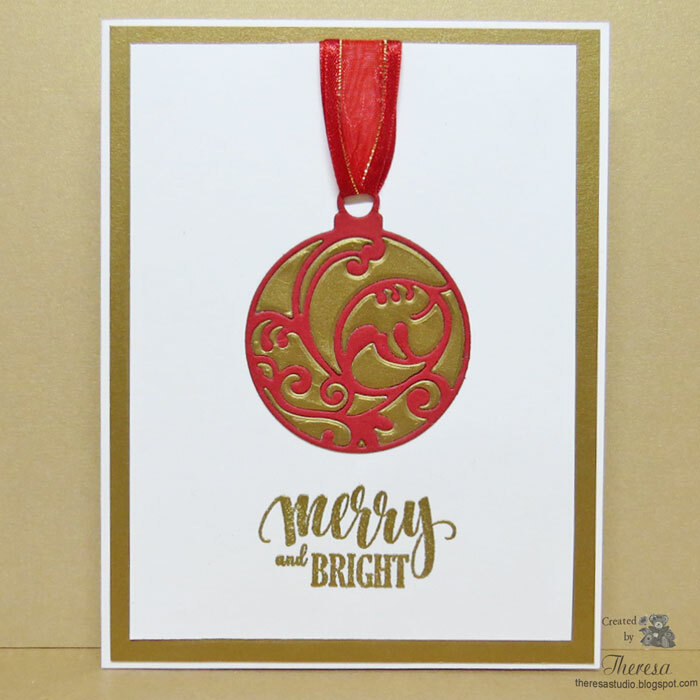 I used a strip of patterned paper from my Christmas scraps and a circle die cut of an embossed ( Nordic Christmas EF) Red CS. 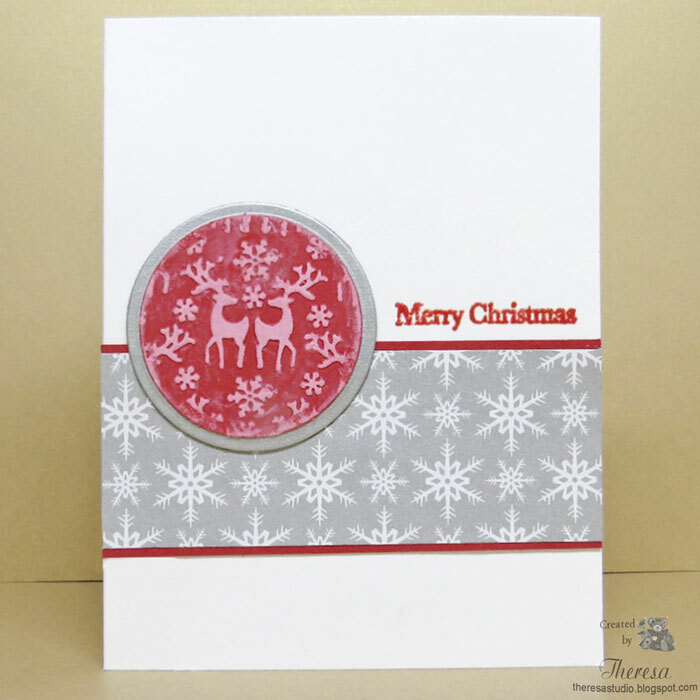 Assembled them with a red mat under the patterned paper and a silver circle mat under the Reindeer. Finished with GKD sentiment stamped with Versamark and embossed with Red EP. Inked the raised area of the circle with White Ink. 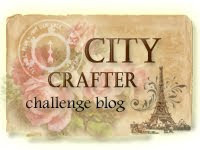 Craftyhazelnut's Christmas Challenge: #400 Anything Goes as Long as it's Christmas. Optional theme include a Reindeer. Hello! 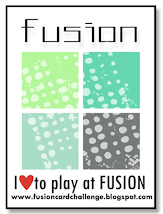 I was inspired to make this card for the challenge at Allsorts with the theme of Music. I used a scrap of Patterned Paper with Gold Foiled accents from a magazine freebie and a card base of Metallic Gold CS (looks like Kraft in photo). Note the words on the paper says "Something for you, something for me." I stamped the GKD Guitar and Sentiment on Ivory CS with Versamark, heat embossed with Gold EP, and then die cut. Assembled on the Metallic Gold CS base and added a border of Shiny Metallic Gold to finish. This will be used as an anniversary card in October. Die Cuttin' Divas: Challenge #384 What makes you happy? Love and Music. Used dies from Gina K Designs. Hello! 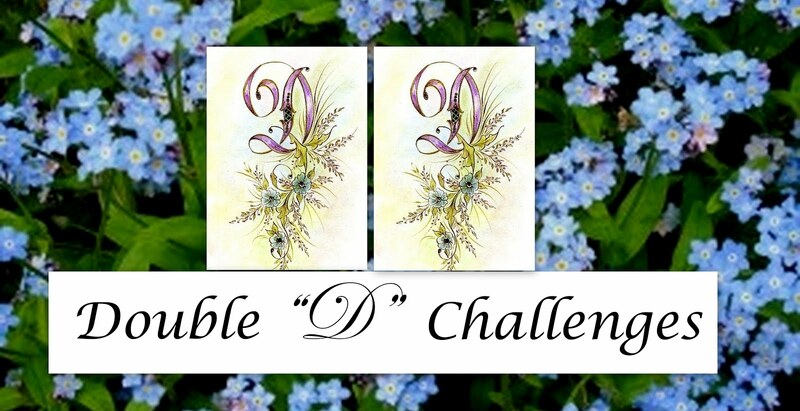 Another card today was inspired by the challenge at The Male Room-Wild and Free. 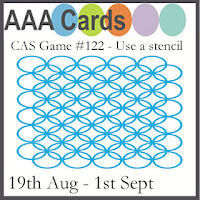 Actually I started with a discarded back ground from making another card. 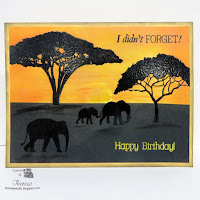 I did not like the layout of the trees that I stamped but it works for this card. I had sponged the background with Distress Oxide inks using masking for the sun (setting or rising?) before stamping the trees with Black ink. 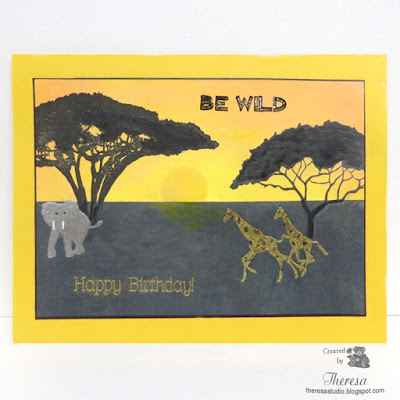 To finish for this card, I stamped the running Giraffes and embossed with Gold EP and did the Elephant with Silver EP. 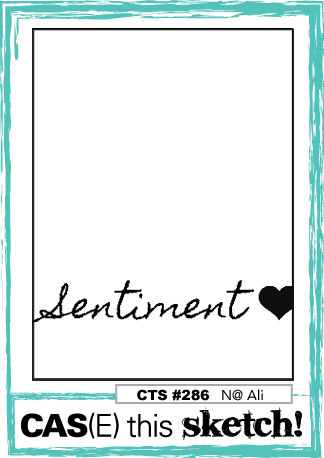 Embossed the Wild sentiment with Clear EP after stamping with black ink. 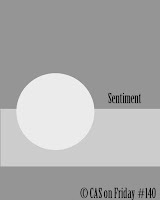 The Birthday sentiment was done with Gold EP. Outlined the panel with the scene with a Black Copic and attached to Yellow Card Base. All stamps from old Mark's Finest Papers stamp sets. Papers from stash. 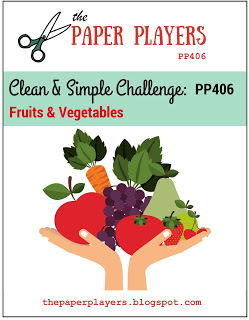 Crazy 4 Challenges: C4C 449 Make a masculine card. Sweet Stamping: Birthdays or Make it a Remake. 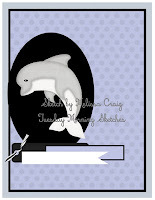 My card is a birthday and is sort of a remake since I had done a similar card shown below but with different animals. 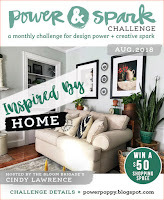 Cards in Envy: Yellow & Black card challenge. On the left is the card from which I had the leftover background. Hello! Playing with more sketches. 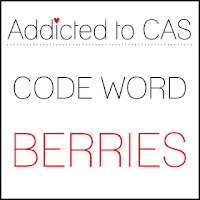 This one is from CAS(E) this Sketch. 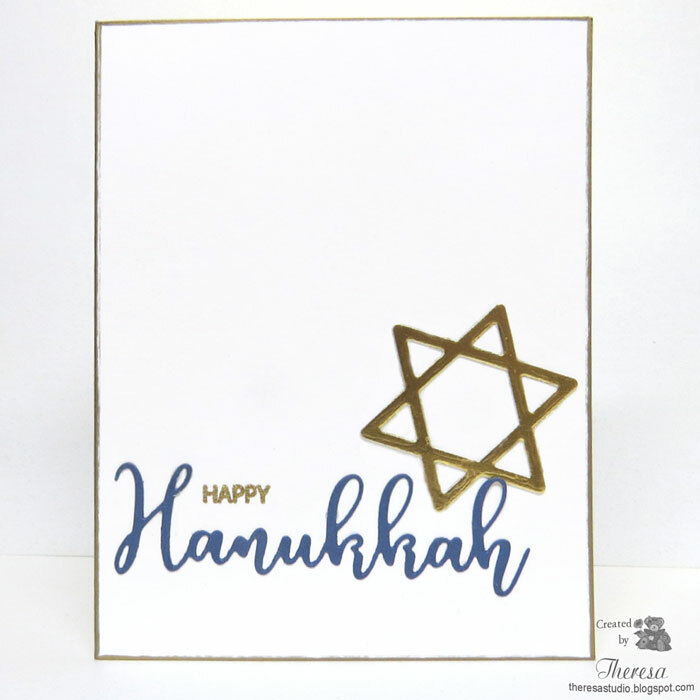 I decided to make a Hanukkah card using a die cut and stamp from GKD. The Star was cut with Quick Kutz die. Used White CS, scrap of Blue CS, Gold Metallic CS, Versamark ink, Gold EP. Inked the edges of the card with Gold Metallic Pilot Marker. Hello! Another card playing with some sketch challenges. I created this Christmas card using sketch from Freshly Made Sketches 351 shown below. 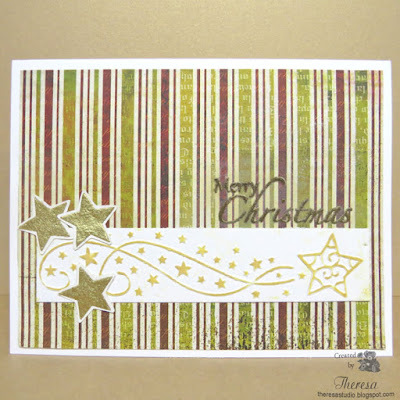 Used a leftover strip that I had embossed and inked with gold and some leftover stars from Gold Metallic scraps. 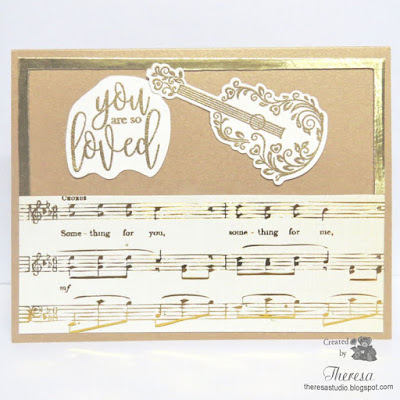 Assembled with an old BasicGrey patterned paper and white card base and added a GKD sentiment with Versamark and Gold EP. 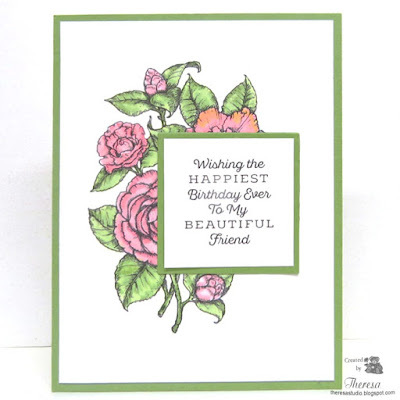 Stamped and embossed the sentiment 3 times to give some dimension. 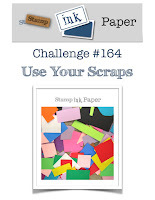 Craftyhazelnut's Patterned Paper Challenge: August use patterned paper. Welcome! Hope you had a great weekend. Spent some time in the studio playing with some sketch challenges. 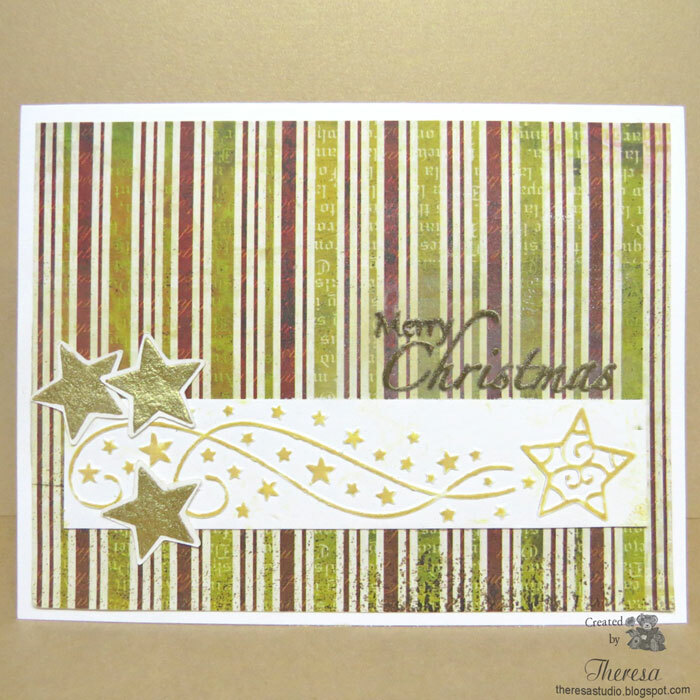 I created this Christmas card using The Paper Player Sketch Challenge PP407. 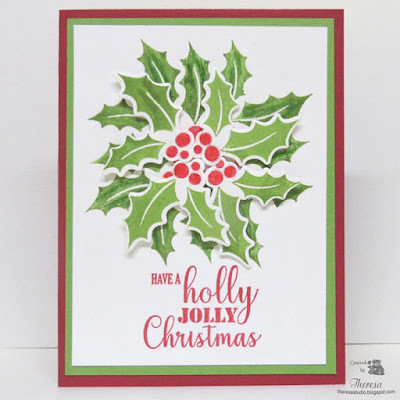 Used an old patterned paper (not sure of source) with Red card base and words die cut with Cheery Lynn dies from Green Foiled CS. Quick and Easy! Hello! For this card, I combined some stenciling, a die cut, and a stamp verse. I used a GKD Stencil with DOI Faded Jeans on a white CS. 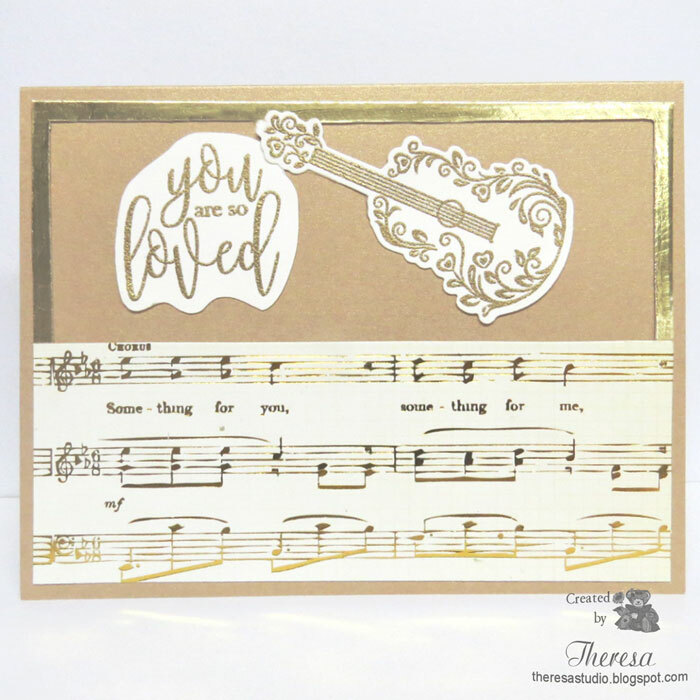 Stamped a sentiment from Paper and Such with the same ink and then inked the edge with a Gold Metallic marker. 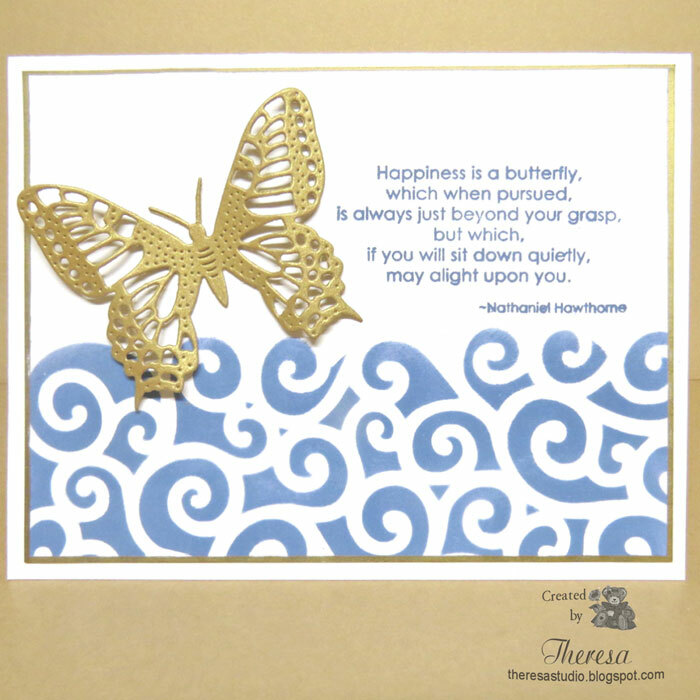 Attached to a white card base and added a Gold Metallic Butterfly die cut with a Cheery Lynn die. 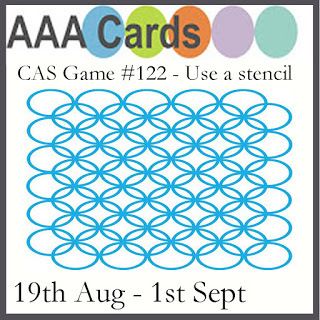 AAA Cards: CAS Game #122-use stencil. 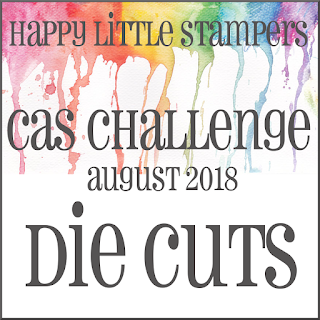 My DH asked if I had enough white space to count as CAS? Isn't he smart and crafty to know that? When I compared the DT cards for white space, I think I have enough white space. We'll see, I guess. Maybe I should have used another sentiment. Hello! Having fun using up some scraps. Had just enough of these 3 patterns left to die cut some squares, hearts, and words. Assembled them on a White CS base. These papers were part of a freebie that came with a Magazine. 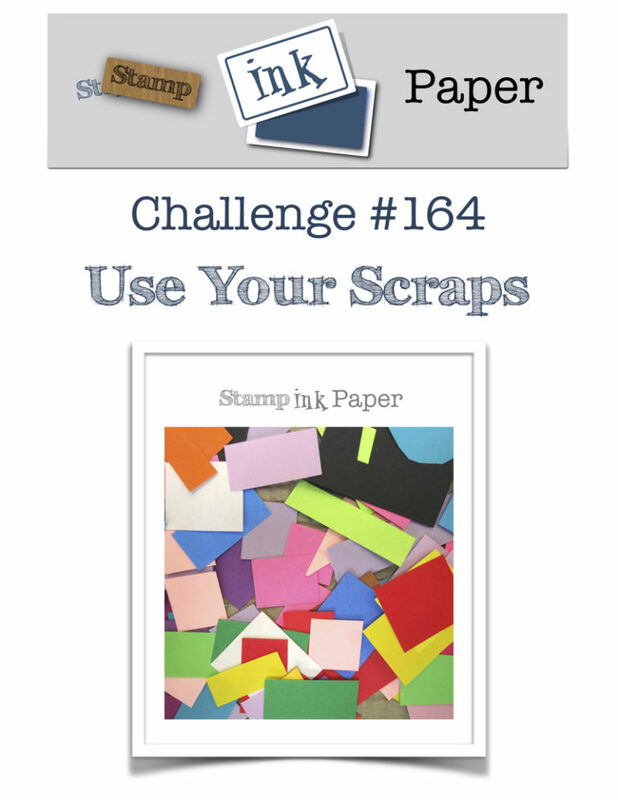 Stamp, Ink, Paper: Challenge 164 Use your scraps. Hello! 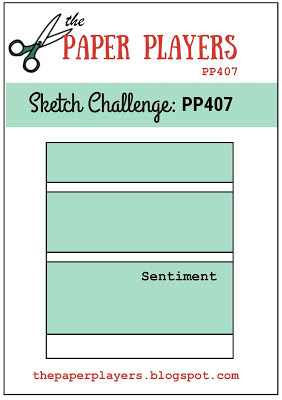 Today I am sharing a card that I created for the challenge at Tuesday Morning Sketches. 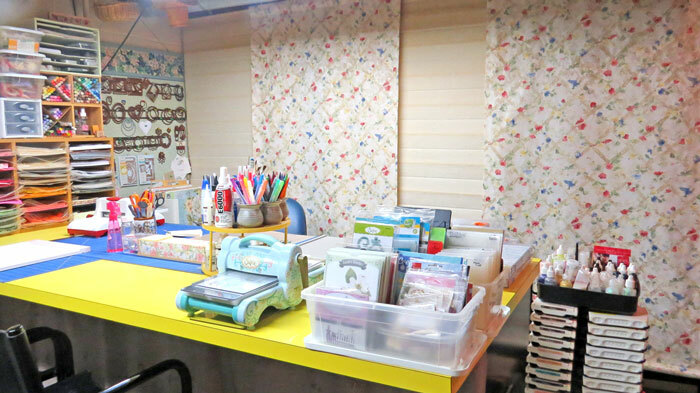 I pulled out some patterned paper and also some pre-die cuts from a paper pad by Kaiser Craft called Jungle Bug. I used the Polka Dot for my background and added a Pumpkin that I stamped with a Repeat Impressions stamp and colored with Copics. Matted the image with a Brown CS. I added the row of circles and the bug in a circle, both die cuts from the pad. 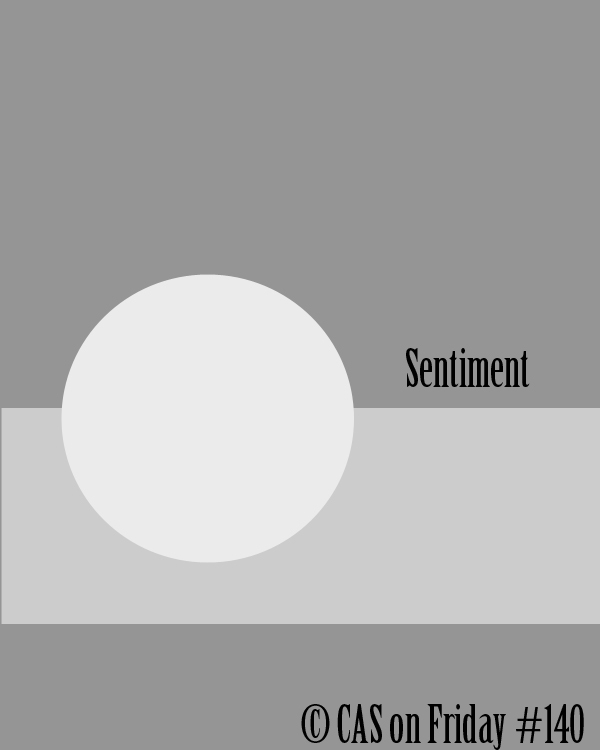 Stamped a GKD sentiment on white circle and placed on a brown circle. Assembled all the elements using the sketch below as my guide. 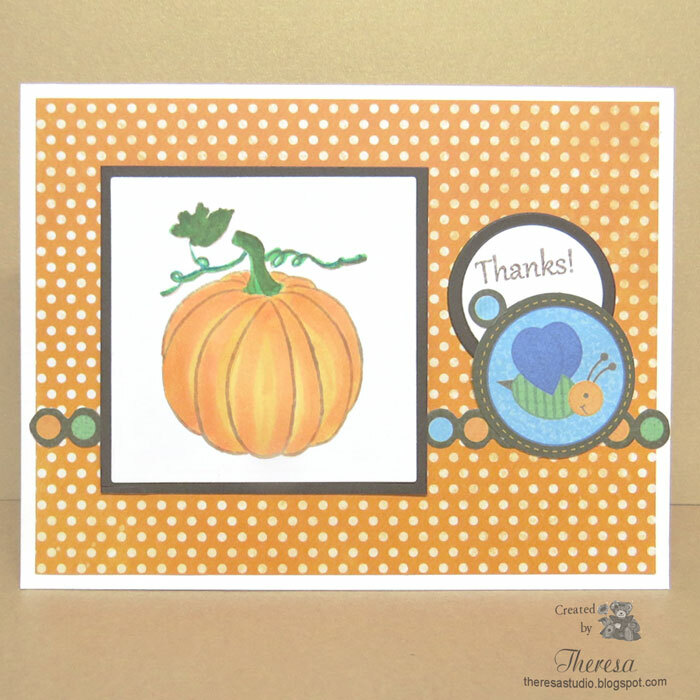 Thought this made a nice Thank You card for fall. 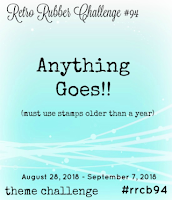 The House That Stamps Built: Anything Goes Challenge A2218. Used Repeat Impressions stamp. 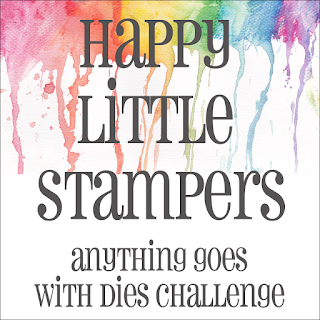 Was thinking of my DH when I chose this stamp. He loves Radishes...the bigger. the hotter, the better. 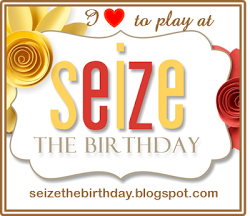 This card is for you, my DH! Hello! 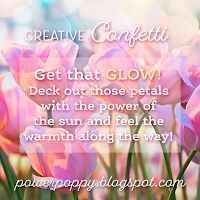 I made this card for the Get The GLOW challenge at Power Poppy. 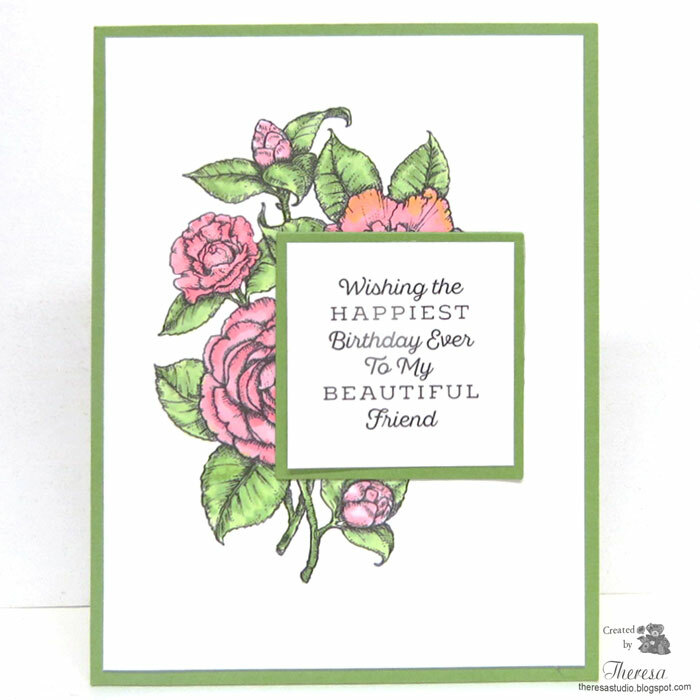 I used stamps from Power Poppy Peony Muse set. The flower, stem, and leaves were stamped with Memento London Fog ink and colored with Copics with some high lighting with pencils. I stamped the sentiment with 3 inks before I got the color that I wanted (SC Rose Regal, DOI Worn Lipstick, DOI Fossilized Amber. Luckily I did that in the Misti. Trimmed the image and layered with a distressed looking Patterned Paper from Blank Canvas and attached to a Yellow card base. Kept it simple to let the glow shine. 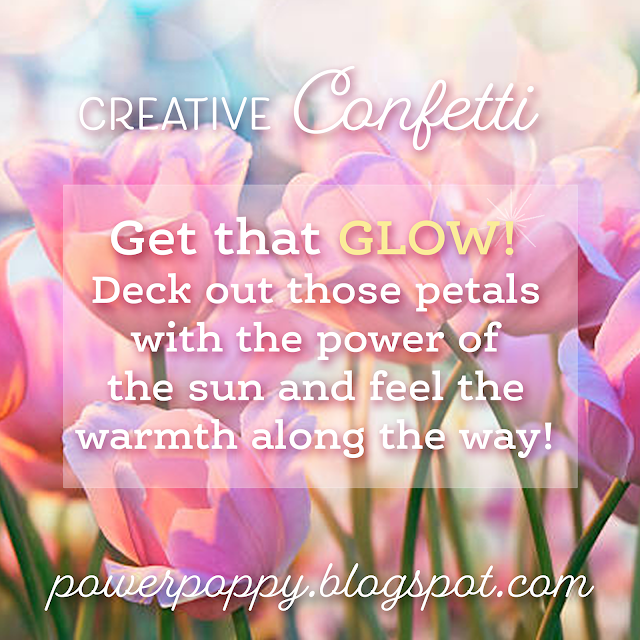 Creative Confetti Challenge at Power Poppy: Get that Glow. Graphic below. Hello! Having fun today with an old Butterfly stamp set from Gina K Designs. 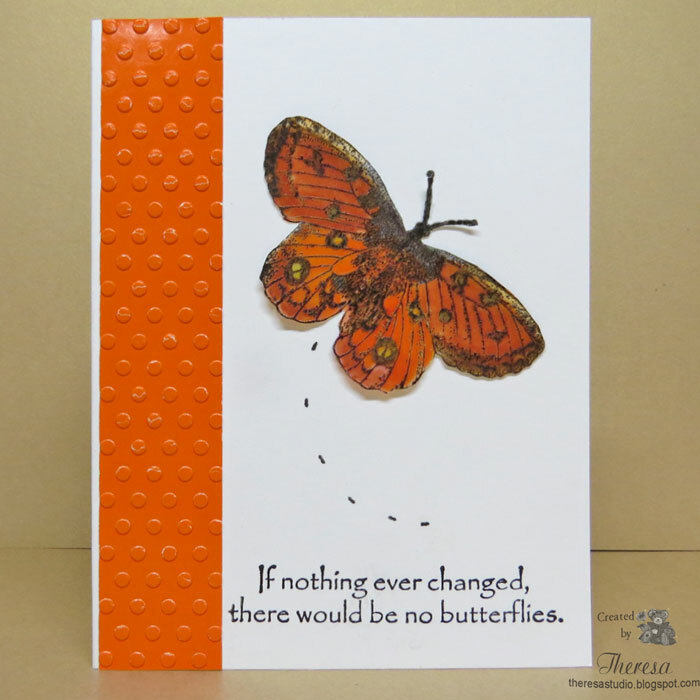 I stamped a Butterfly on clear Vellum with Memento Black Ink and Heat embossed with Black EP. I colored it with Memento Markers on the back and fussy cut when it was totally dry. I attached to a White CS with Vellum tape and added a strip of Shiny Orange Gloss CS that I embossed with CB Polka Dots EF. Finished by stamping sentiment and doing some doodling. ModSquad Challenge: Butterflies or Rainbows. I chose butterfly. Hello! 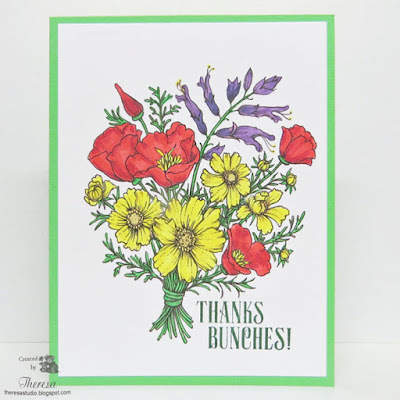 I took inspiration for this clean and simple card from a post on Power Poppy featuring tips for coloring by Amy Shulke. I printed and colored the same Power Poppy digital image Berry It on White CS and colored with Copics. 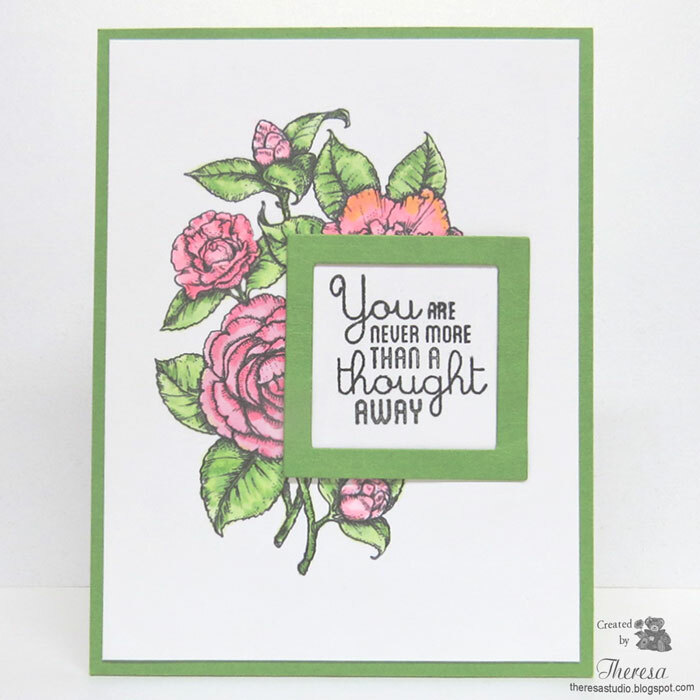 The sentiment was printed from the same set. I trimmed the image and attached to a Grass Green CS. Papers are from Gina K.
Hello! Some times the simplest things are the most beautiful. That is what I think of this card. 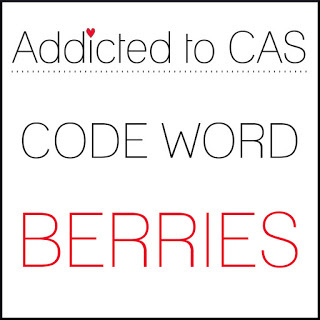 Yes, it is certainly CAS....no layers, no embellishments, no coloring. 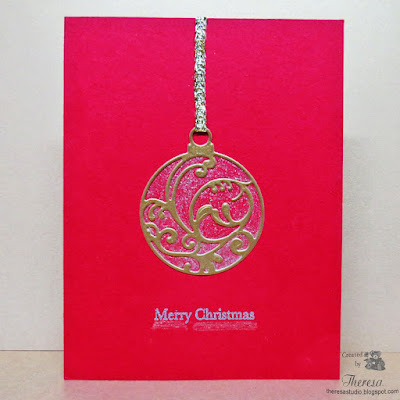 Just stamping and heat embossing with Versamark and Gold EP. I did not start out to make a clean and simple card...just turned out that way. 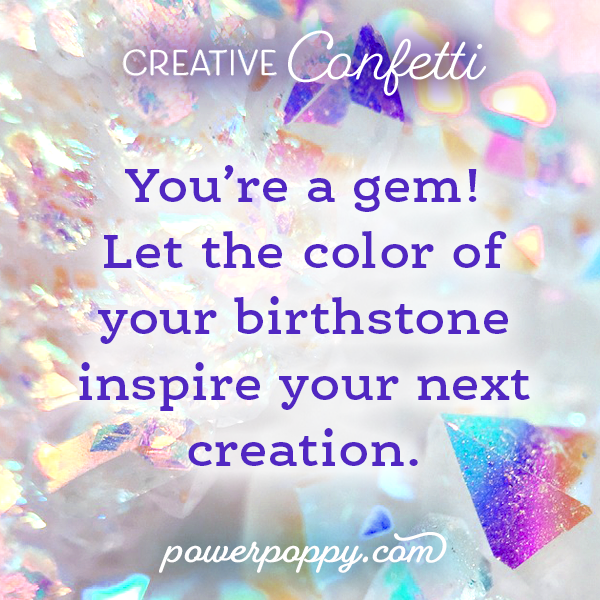 I was trying to think of a card to make for the new Creative Confetti Challenge Power Poppy which is to let the color of your birthstone inspire you to make a creation. My Birthst one is Pearl or Alexandrite or Moonstone. There are 3 choices. I prefer Pearl so my card is inspired by the color of Pearl. 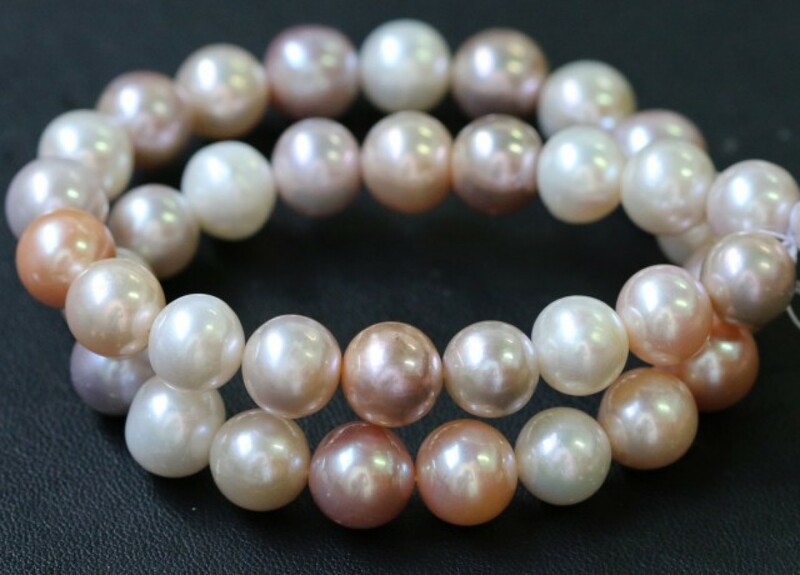 Actually Pearls come in a wide range of natural shades and colors but are generally known to have lustrous creamy white hue. So pearl does not inspire much color. I used some Oyster Pearl CS that has a luminous and lustrous shine-hope you can detect the luster in my photo. I really like this paper and I have been using it sparingly since I do not want to use it up. 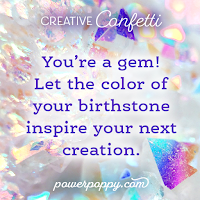 Power Poppy Creative Confetti Challenge: Use birthstone as Inspiration to your Creation. Hello! I made 2 Christmas cards with the Christmas Bauble die from Marianne. I cut twice --from Gold Metallic CS and Red CS. 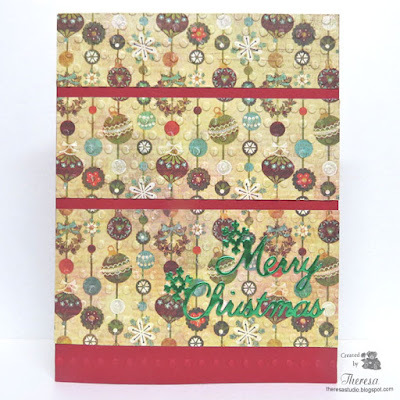 For the top card I used the gold negative pieces with the Red Ornament. 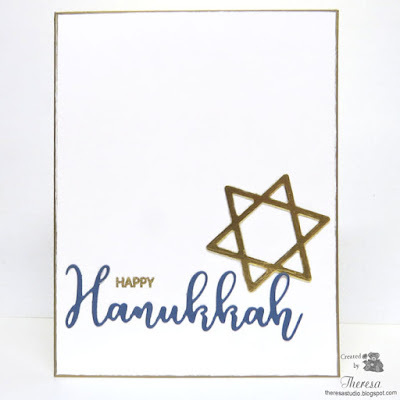 Glued to a White CS panel with a Red Organdy Ribbon, added Gold Metallic Mat and White card base. Finished with Gina K sentiment stamped in Versamark and heat embossed with Gold EP. For the second card, I simply glued the Gold ornament with a Gold Metallic ribbon to a Red card base. Added glitter to the ornament with Sakura Clear Star pen. 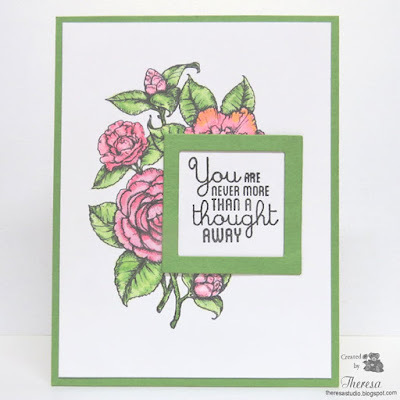 Stamped the Gina K sentiment with Verrsamark and heat embossed with Silver EP. Added a shadow to the words with the Clear Star Pen. Two more cards for my holiday stash. Hello! I have a birthday card that I made inspired by the sketch shown below. I began with some leftovers on my desk. 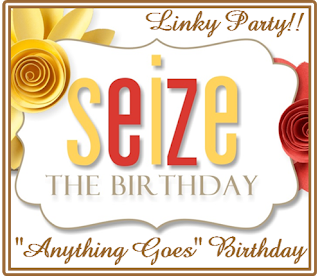 The background was made when I was playing with Distress Oxide inks which resulted in several backgrounds. 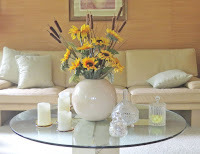 I like the pastels colors which I think has an uncluttered and open look. 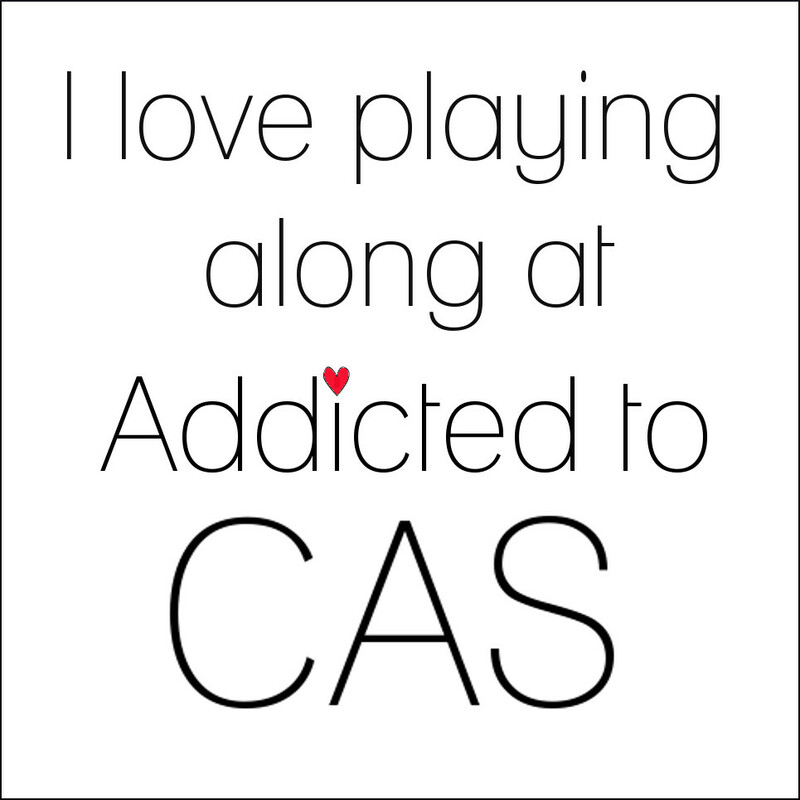 I think it fits into being CAS but some may not. I used up some leftover circles that I die cut with various sizes and were in a bag of leftovers. 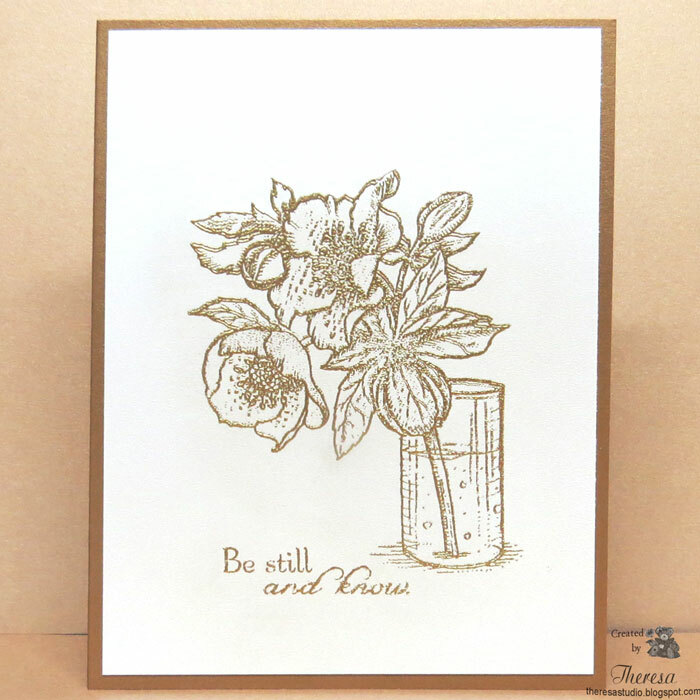 I arranged them according to the sketch and stamped a Gina K sentiment in Pink ink. I really like the results. Hello! Looks to be a sunny day in Ohio. 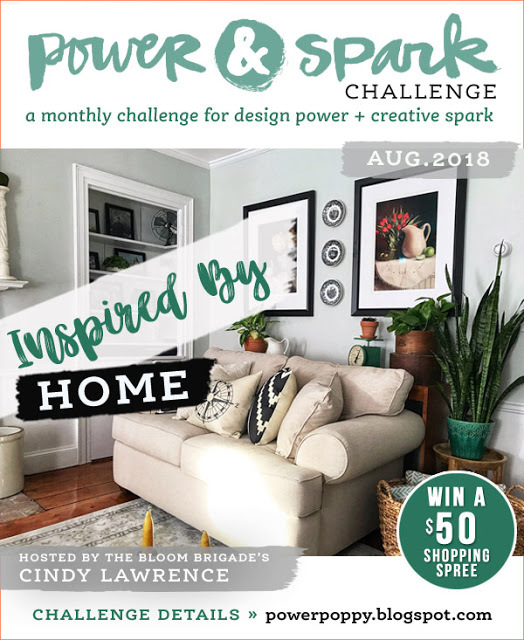 This month the Power & Spark challenge at Power Poppy is to create a project inspired by something in your home and include a photo of what inspired us. 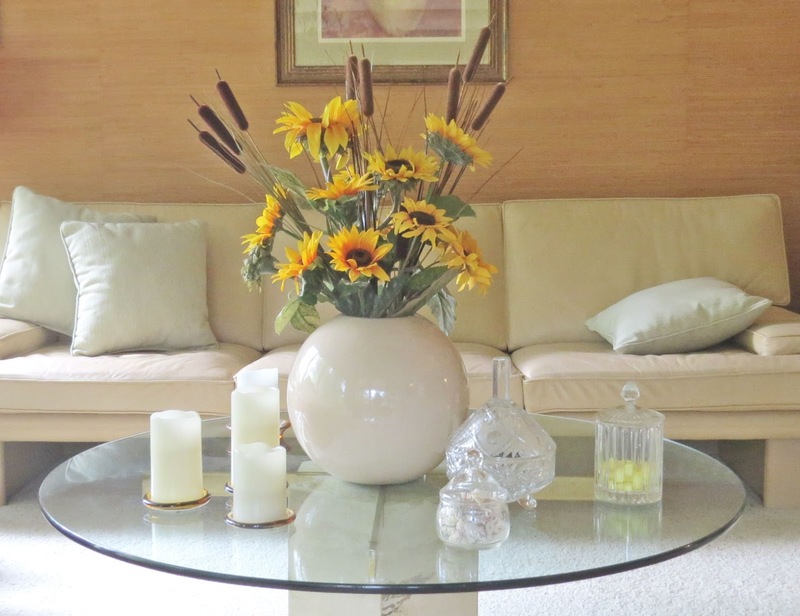 This time of year I like to bring out arrangements of silk sunflowers. I am showing one that is in our living room. 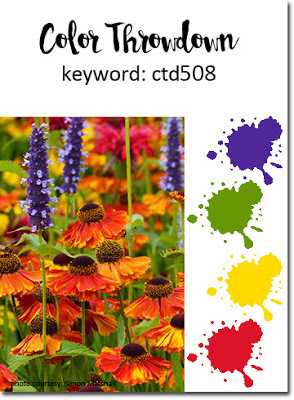 I made this card by printing Power Poppy digital Sunflower Power on watercolor paper and water coloring with a water brush and Distress Oxide inks. 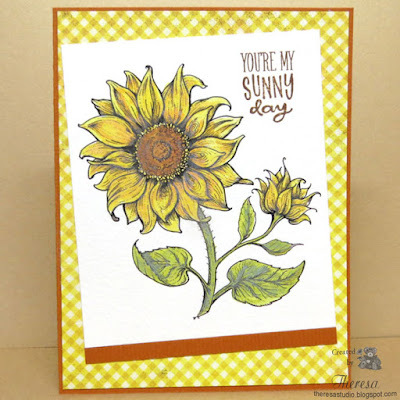 I have done a lot of sunflower cards lately. I stamped a Power Poppy sentiment from Sunny Harvest set. 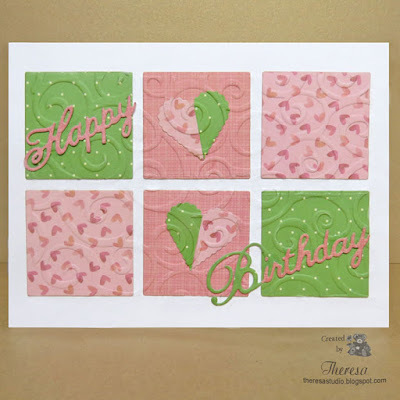 I used Rust CS and Authentique Pattern Paper from Blissful paper pad to complete the card.